Japan, winners of the last five editions of the Women's Baseball World Cup, will attempt to extend their awesome record when the 2018 edition gets underway in Florida on August 23 and runs to the end of the month. 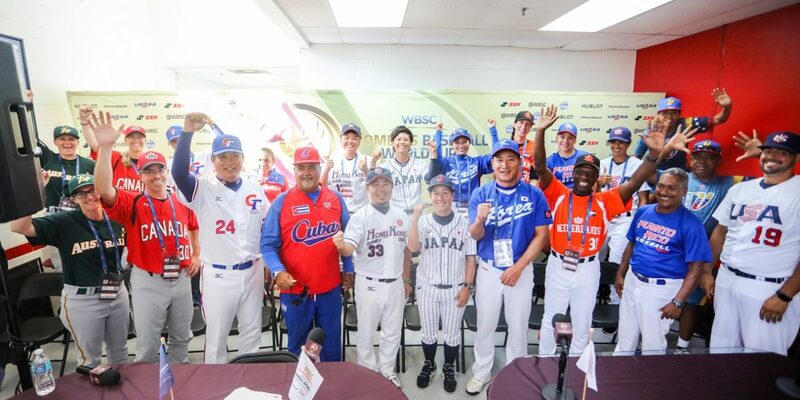 It is the first time the biennial event, which started in 2004 and is supervised by the World Baseball Softball Confederation (WBSC), has been hosted by the United States. The home team, who finished seventh in the 2016 edition held in Busan, South Korea, but are currently world-ranked third, have been making special efforts to succeed in a competition that will take place at the United States Specialty Sports Association Space Coast Complex in Viera. USA Baseball has completed a nationwide search to find the best 20 players in the country to compete. "These athletes have the talent and the character to represent the US well both on and off the field and we are excited to get to work with them on bringing a gold medal home on our soil," said Matt Weagle, who will be making his debut as manager of the USA Baseball women's national team. In total, 14 USA Baseball women's national team past players return to the roster, including 11 members of the squad that claimed the gold medal when women's baseball made its debut at the Toronto 2015 Pan American Games. Headlining the roster are Tamara Holmes, Meggie Meidlinger, Marti Sementelli and Malaika Underwood, who were all part of the US squad that won the Women’s Baseball World Cup in 2006, the last time the US claimed the title of world champion. The youngest player selected to wear the red, white and blue is 16-year-old right-handed pitcher Ashton Lansdell. Underwood, meanwhile, will be suiting up for USA Baseball for a record ninth international event, the most of any male or female national team representative in the country's history. But the home players will be up against it to make an impression on the teams who finished in the first three places in 2016 - Japan, runners-up Canada and Venezuela. In September last year, the Baseball Federation of Asia held the first Women's Baseball Asian Cup, a biennial tournament to be held in odd years and serve as a qualifying tournament for the Women's Baseball World Cup. Six teams competed and Japan won all five of their games to win the tournament and qualify along with second-placed Chinese Taipei, South Korea and Hong Kong. Venezuela's 2016 race to the Finals set off a media buzz across the nation, which prompted President Nicolas Maduro to honour the team with a hero's welcome back. "Following the success and bronze medal of our women's national team in 2016, a new women's baseball league was formed, and this has increased the number and quality of female players in Venezuela, where baseball is already the national sport," said Federation President Aracelis Leon. "Venezuela has some of the best baseball players in the world, and the team that we are taking to Florida represents the best women's baseball team ever from South America." The field of 12 national sides will be split into two qualifying pools, with the US in Group A along with Venezuela, currently world-ranked five, South Korea, Puerto Rico, The Netherlands and Chinese Taipei. Japan are in Group B with Canada, Cuba, Australia, Hong Kong and the Dominican Republic. The top three finishers from each group will advance to the super round. During the World Cup, the WBSC will test a set of new rules aiming to accelerate game tempo. There will be a 12-second time limit between pitches, an automatic intentional walk and a time limit of 90 seconds between half innings.